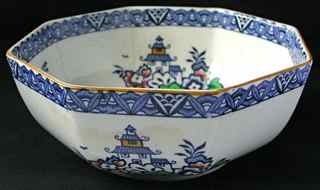 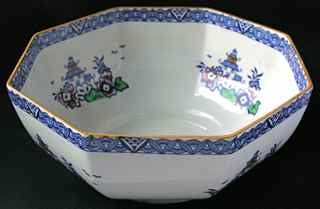 This hard-to-find pattern dating from 1925 is undoubtedly the work of FREDERICK RHEAD. 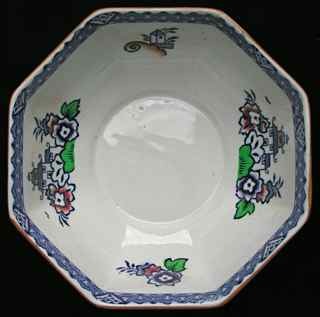 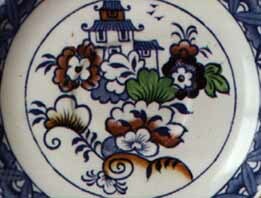 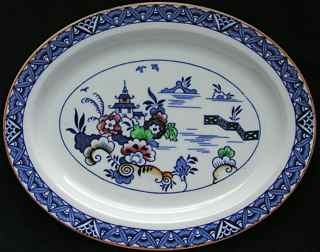 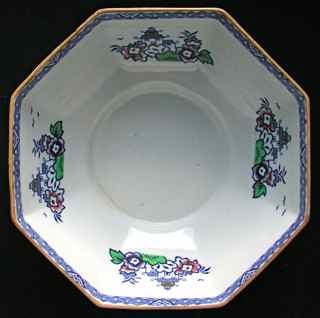 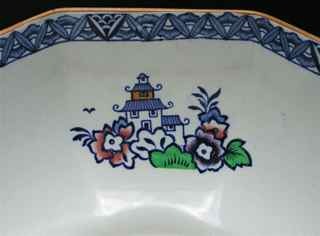 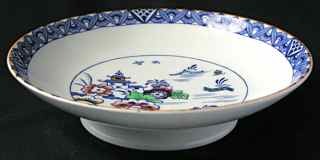 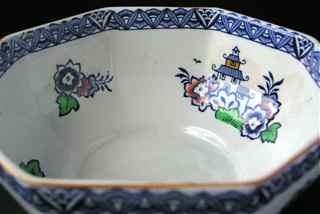 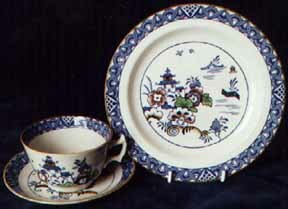 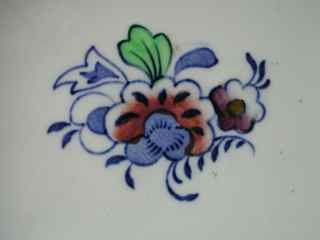 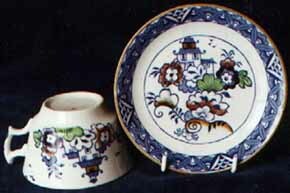 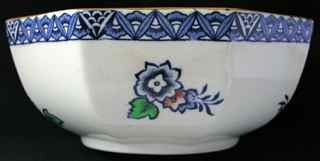 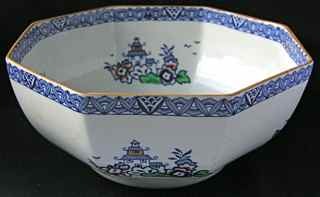 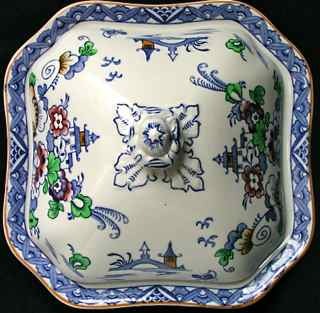 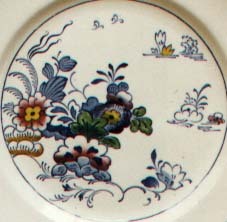 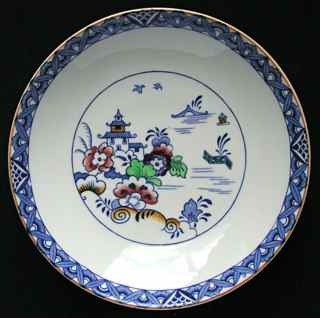 The colours are handpainted over a blue transfer, with a brown rim. 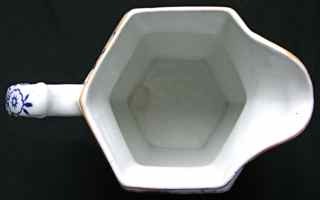 It is occasionally seen in a brown colourway. 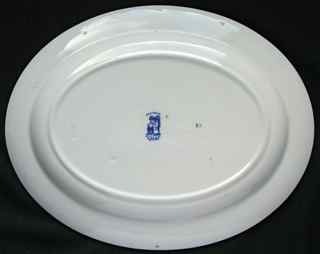 All the items shown below are blue. 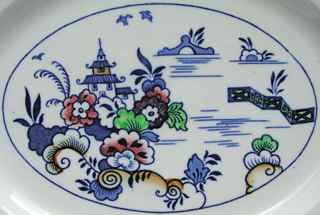 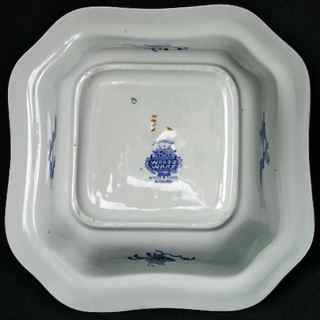 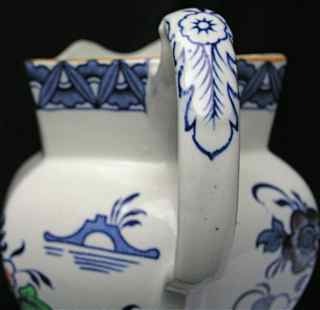 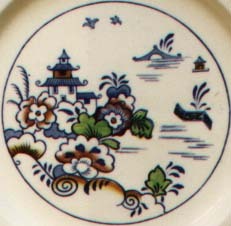 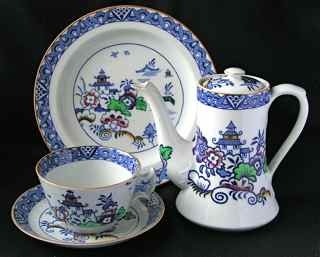 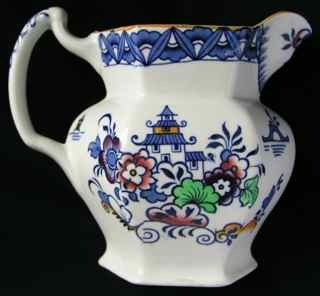 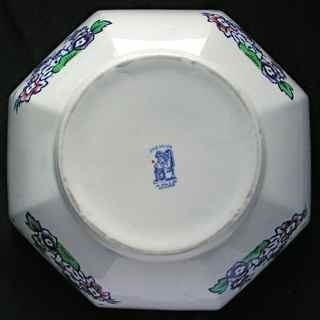 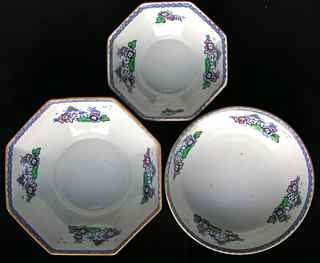 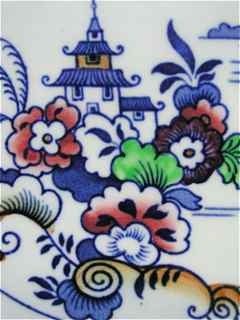 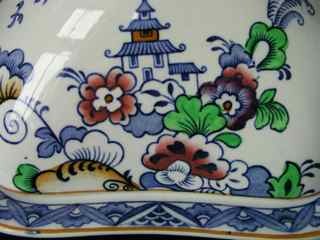 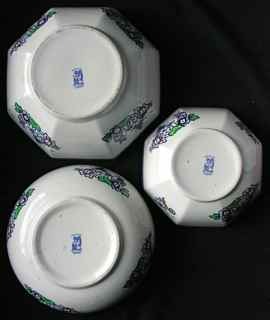 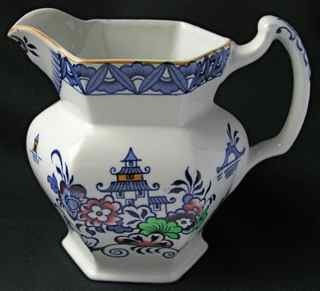 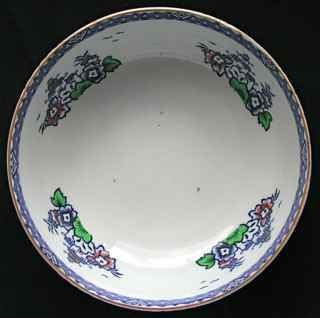 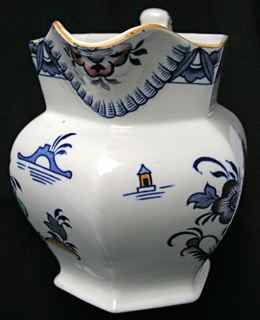 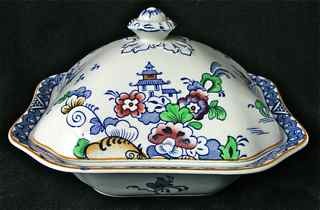 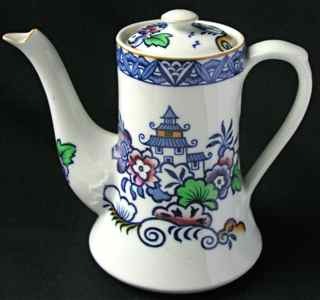 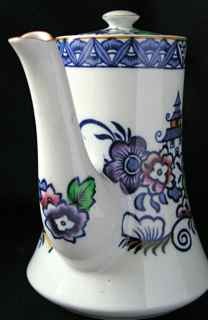 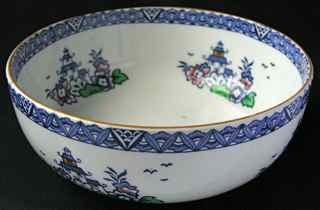 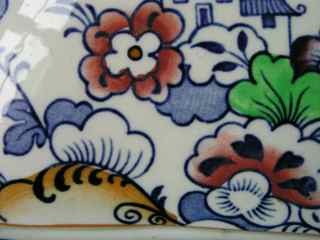 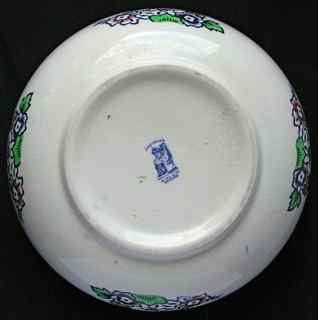 The shape is the same as for Woods' classic YUAN pattern of the 1920s. 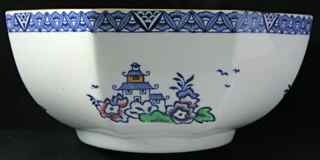 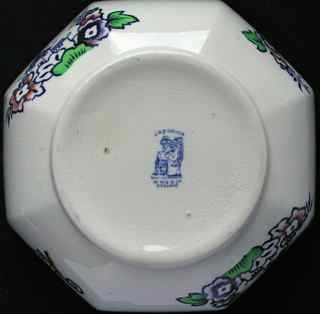 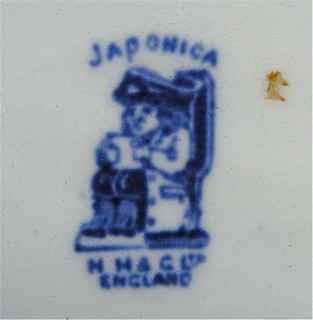 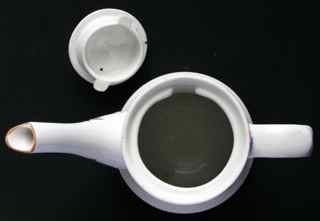 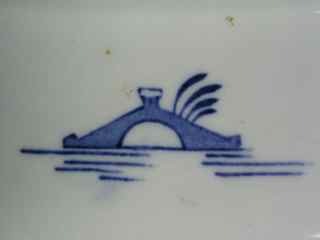 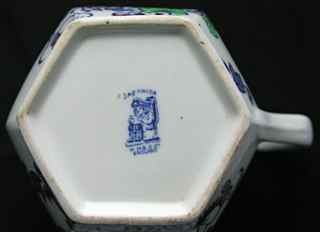 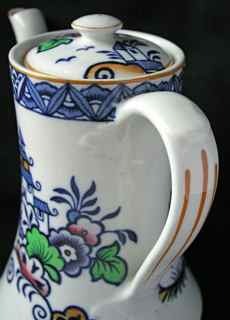 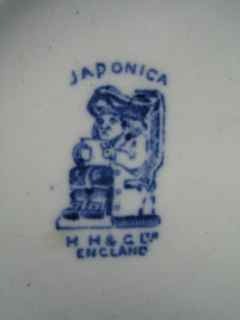 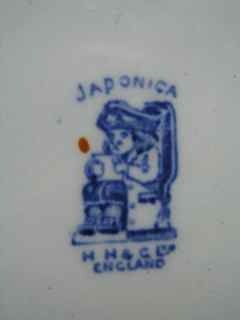 Items usually have the retailer's mark: HH&G Ltd (Hales, Hancock & Godwin) with the Toby jug logo, also designed by Frederick Rhead. 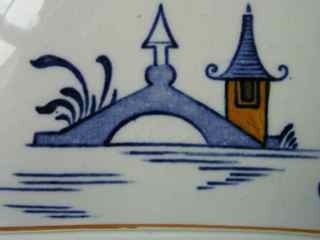 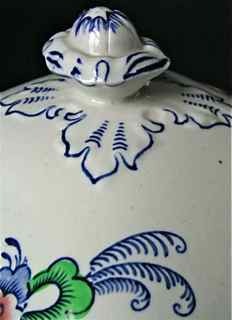 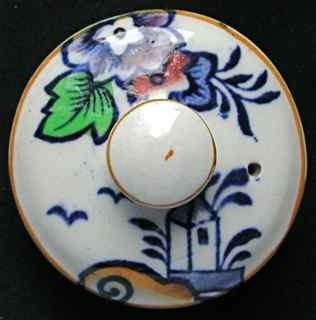 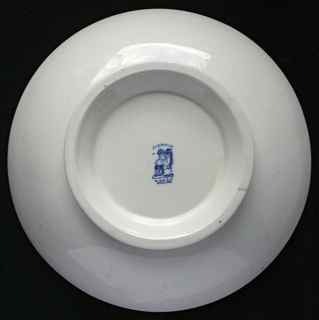 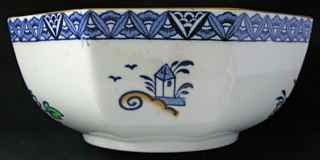 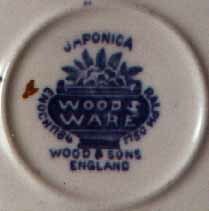 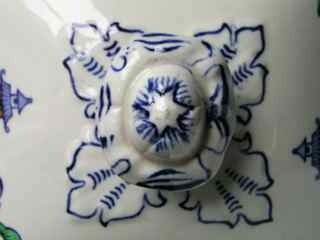 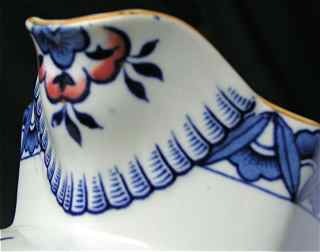 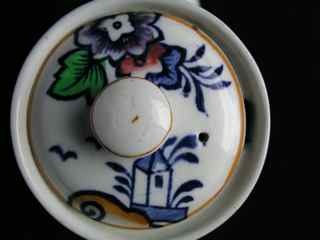 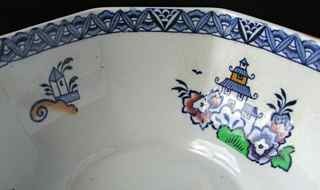 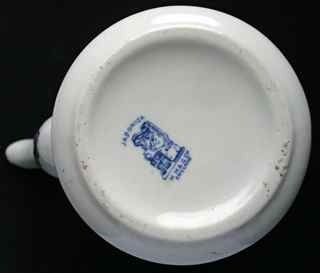 In some cases the Woods 'urn' mark is used instead, as on the back of the saucer below..